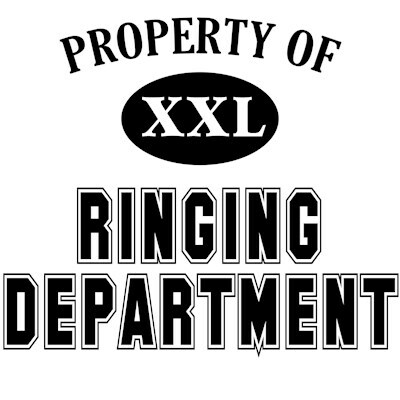 This Property of Ringing Department collegiate-style logo is a great design for bird ringers or banders everywhere. Bird ringing is an important contributing factor in the study of wild birds. 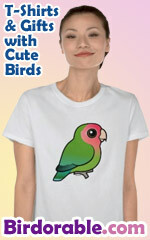 These great bird ringing t-shirts and novelty items make great gifts for bird ringers or banders. Find this unique bird banding themed design on a wide selection of products and novelties at our sister shop Birder Gifts here: Prop. of Ringing Department. There, you'll find products like premium keychains, square buttons and magnets, plus different styles of apparel, drinkware, totes, and more. To order by phone, call toll-free at 1-877-809-1659 from Monday - Saturday 9:00am - 9:00pm EST. You'll need to note the Product Number 030-219583718 to make your order.